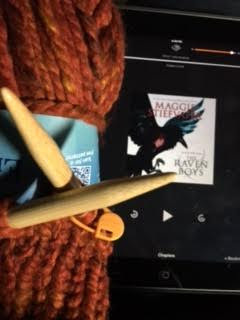 Knitting the Classic Super Bulky Knit Hat and listening to Raven Boys by Maggie Stiefvater. Wow, you knit that in one day? 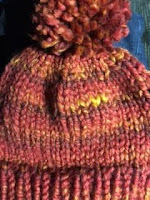 I envy you fast knitters. Very warm and pretty hat. 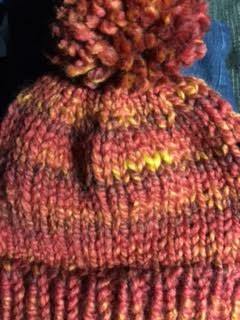 Great hat - that's a lovely colour for a chunky yarn.